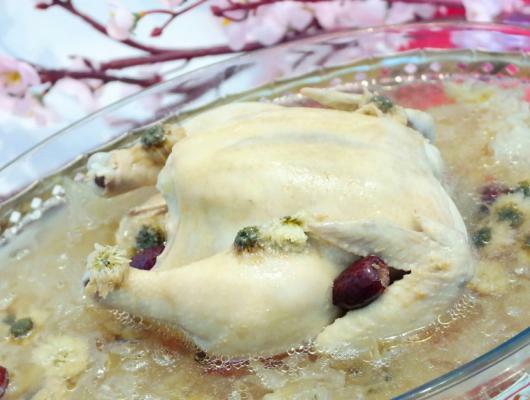 Heat up inner pot just before serving and add seasonings, and your Golden Chrysanthemum Chicken is ready to be on the table. There are many health benefits of Chrysanthemum, and the " golden flowers " are used in traditional Chinese medicine to treat various internal and external health issues. 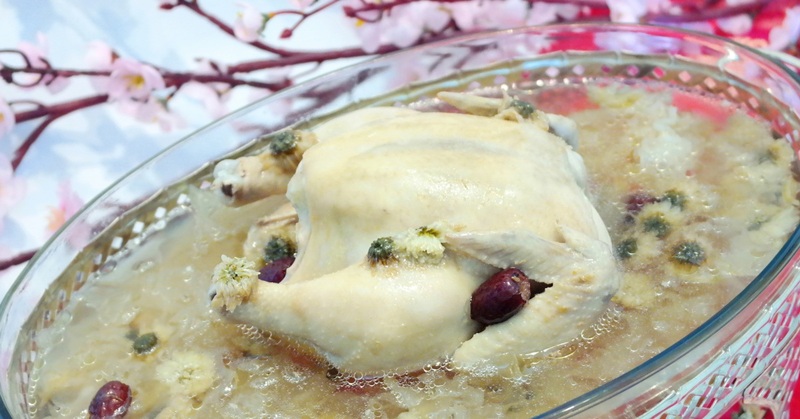 You can serve this soupy Golden Chrysanthemum Chicken dish which has a slight floral aroma with a refreshing taste for your Chinese New Year feast.